The following is a sponsored post from Staples. As regular readers know, we don’t often do sponsored posts (our most recent was in 2013). But we agreed to work with Staples again for three posts because they sell so many different organizing and productivity products in their stores and we like so many of the products they carry. Our arrangement with them allows us to review products we have extensively tested and have no hesitation recommending to our readers. And, these infrequent sponsored posts help us continue to provide quality content to our audience. As spring (slowly, very slowly in the part of the country where I live) heats up temperatures outdoors, I’ve been thinking a lot about cleaning and organizing. It’s nice to get the windows open and air out my house and feel empowered by the renewal that comes with the warmer weather. As it always does, these things get me motivated to do some spring cleaning. One thing I started doing last spring that I’ve felt has made a huge difference in my organizing efforts is to have two filing systems. It sounds like extra work, but it has proven to reduce my workload. In addition to the traditional filing cabinet that holds all of the paperwork I have to keep, I now have a smaller filing box next to my desk that is a temporary holding ground for papers. Immediately when papers come into the house — bank statements, bills, paperwork from the kids’ school — I file it into the temporary filing box. Twice a year, when I’m doing fall and spring cleaning tasks, I go through the temporary filing box and decide what needs to go to the traditional filing cabinet and what can be purged. Also, having the box keeps papers off my desk, but in a very easily accessible location. It also serves as a working file drawer for papers that will never go into the traditional filing cabinet but that I need for projects I’m working on at that time. If you’re desk doesn’t have a drawer in it like mine doesn’t, I recommend a simple Staples File Box. It has a lid for keeping out pets, most water, and dust and a lip around the upper edge for hanging file folders. It’s inexpensive and I like that best of all. Along the same lines of there being a temporary filing box, I also have started keeping a temporary holding box that I clean out twice a year (again during spring and fall cleaning). This holding box is where I drop things I’m pretty sure I want to unclutter permanently from my home but that I’m not 100 percent certain I’m ready to let go. Having a temporary location for this stuff makes me more willing to part with it after I have evidence that I didn’t touch something for six whole months. (Because, if I do need something, I take it out of the box and return it to its regular storage location after use.) I rarely access anything in the box and it pretty much goes straight to a charity when I’m doing my spring or fall cleaning. 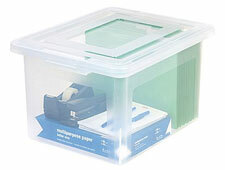 If you think a temporary holding box for items you wish to unclutter could work for you, the Staples 40 Quart Plastic Containers are great for this. They’re clear (so you can easily see inside to find what you need) and they have a locking lid, which keeps out critters and most water. It’s definitely better than a cardboard box, which I do not recommend using. And, obviously, these same bins are great for longer term storage of anything you want to protect seasonally — winter blankets, coats and hats, gloves and scarves, etc. I’m a brand loyalist when it comes to everyday objects, like writing pens and markers. I find something that works well for me, and I stick to it. I exert the mental energy and money to determine what I like, and then I typically only revisit those decisions if something changes about the product (discontinued, formula change, significant reduction in quality, etc.). Recently, however, I noticed that my preferences were changing and some of the products I’d been loyal to for years weren’t doing everything I wished they would. The product that caught my attention first — and ultimately set the stage for this post — was my love affair with the Pilot G2 pen only existed in certain circumstances. 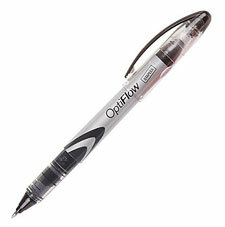 The Staples brand equivalent to the G2 is the OptiFlow Fine Point Rollerball Pen and it has a cap. The writing is very smooth, it dries on a sheet of paper quickly (which for left-handed folks means virtually no mess from hand drag), and the pens last as long as the G2s. 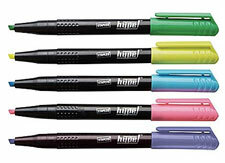 A dozen of the Staples OptiFlow pens are $10.79, which is a little less expensive than the Pilots, too. So, now I’m loyal to the OptiFlow when I’m on the go. While thinking about store-brand pens, I decided to see how the Staples brand stood up to the other writing implements I carry with me in my laptop bag. The Staples Hype! Chisel Tip Highlighters came out ahead of the Sharpie brand of highlighter I usually buy. Again, I like that the Staples brand have a cap. But what I really like is that they don’t bleed through paper with typical use, even thin paperback book paper, so what is highlighted on one side of the paper doesn’t interfere with what is highlighted on the backside. It also didn’t smear handwriting, which the Sharpies don’t do but other brands definitely do, which is annoying. They’re solid highlighters and they’re $5.49 for a six pack, which is less than what I usually pay. 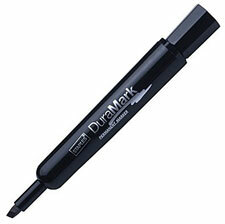 Finally, I checked out the Staples DuraMark Black Chisel Tip Permanent Marker and they were as great as the ones I usually buy. They did bleed through a sheet of paper, but all mid-range priced permanent markers do. The stroke was consistent and the marker is an overall good quality. I have yet to throw one away, which also speaks to its longevity. And, at $8.49 per dozen, they’re less expensive than the brand I usually buy. In prior Unclutterer posts we’ve written about the importance of being organized about estate planning. My attorney says that if you’re over 18 and own stuff, you’ll want a will. Some people will also benefit from having a trust. And then there are living wills and other medical advance directives. These can indicate what medical interventions you want (and don’t want) and who you want to make medical decisions for you if you can’t make them yourself. Other documents may allow doctors and care facilities to share information about your medical condition with the people you specify. Similarly, financial powers of attorney can allow others to handle your finances if you’re unable to do so. The specific documents required vary from state to state, so it’s wise to get legal advice as to what your state requires — or your country and locale, if you live outside the United States. For the moment, let’s assume you’ve been more organized about your estate planning than the majority of people are, and you have all these documents created and signed. (If you don’t sign them, they are useless. Signatures may need to be witnessed or notarized.) Now, when did you last look at them and make revisions, if necessary? I needed to deal with this recently as I prepared for surgery. The person I had designated as my primary agent in my advance health care directive is less available to serve in that role than when I first had the directive created, so I wanted to switch my primary and secondary agents. So I called my lawyer to have the document updated. But when I reviewed the entire document with him, I saw more changes I wanted to make. In the years since he and I first drafted my directive, I’ve revised my opinions on some aspects of my possible medical care, and those needed to be reflected. They weren’t major changes, but I still feel better knowing my advance care directive now says exactly what I want it to, given how I feel today. It might be obvious that you would want to review and update your estate documents and advance directives when you go through a major life change such as a marriage or divorce or when you move to a new state. But you might also want to update your will if your relationship with anyone who is a named as a beneficiary, guardian, or agent has changed. Do you still feel close to all the people named as beneficiaries? Are the people named as your agents still able to serve? Elizabeth O’Brien wrote in MarketWatch about a man who named his wife as his agent, but she had developed dementia by the time he needed her services — which resulted in messy legal situation. Also, your wishes regarding medical care may change over time, as mine did. Some of that is just due to the passing of time, since what you want when you’re young may not be the same as what we want when you’re older. Sometimes medical technology may change in such a way that new treatment options are available, which may affect your decisions. Sometimes changing religious beliefs may affect the medical care decisions you want to make. Take some time every few years to review those legal documents, and make sure they still reflect your wishes. A few years ago we published an article about keeping your car organized. We stand by that advice, but want to expand on it. Instead of just ways to keep your car organized, consider these five things you might wish to keep in the car. Some will keep you organized, others keep you on the road, while one item may be able to save your life. First aid kits are fairly inexpensive and readily available. If you don’t want one that is premade, consider a DIY setup. Get ahold of something like a fishing tackle box and fill it with items the Red Cross recommends. It’s not a bad idea to take CPR/first aid classes, either. Unless you’re a Hollywood action hero, the glass used in car windows is very hard to break. Keep a window smasher in the glove box or center console. Find one with a built-in seatbelt cutter, like one by LifeHammer or GOOACC. Again, make sure it’s stored within reach of the driver’s seat (it’s useless in the trunk) and that all potential drivers know how to use it. Breaking down is always a bummer, but if you do it’s nice to be prepared. A good kit from AAA includes a flashlight, batteries, booster cables, and more. Toss in a blanket in case you break down in cold weather and some road flares and you’re good. Also, ensure your car has a charger for your phone, because for some reason trouble loves to happen just as your cell phone battery dies. Bonus item: If you have room in the trunk of your car, a portable floor jack is a useful device. They are so much faster, effective, and easier to operate than the flimsy jacks that ship with most cars. To keep items off seats and the car floor, consider hooking a small shoe organizer over the back of the front passenger’s seat to hold snacks, water, maps, tissues, napkins, or whatever else you regularly store in the cab of your car. If you’re like me, you gave your car’s manual a look on the day you brought your car home, tossed it in the glove box, and erased its existence from your mind entirely. It’s really full of useful stuff like how to connect your Bluetooth devices, what the light on the dashboard means, and which kind of oil to use — all advice that can save you time and energy in the future. Now, these things are bulky and heavy, so keep that in mind. Still, if you can make it work, do it. They’re awesome. Now that your car is tidy, add the essentials and happy motoring. I’ve found a unlikely source of music to listen to while I’m at work: video games. The relationship between music and productivity has been demonstrated in several studies. For example, one study has suggested that music increases productivity when workers are engaged in repetitive tasks, while another demonstrated that music has a positive effect on a person’s emotional state and can help with self-motivation. Tempo and style can affect your productivity, too. If I’m cleaning a room or doing yard work, I want something with a fast tempo, typically rock. It’s easier to feel energized with invigorating music. It’s different when I’m working quietly at my desk, however, and that’s when I listen to video game soundtracks. Lost Cities is a card game designed by Reiner Knizia. A version for iPhone and iPad was released a few years ago and it has a fantastic soundtrack (available here from iTunes). It’s like music from a fantasy movie. Monument Valley is an award-wining game for iPhone and Android. It’s very pretty and so is its soundtrack. I’d describe it as atmospheric and certainly more abstract than that of Lost Cities. This is the album I listen to first thing in the morning with headphones. It really gets me in the mood to work. Sword and Sworcery is a pixelated beauty of a puzzle game that I quite enjoy. Its soundtrack is just as quirky as the game itself. If bass, drums, and filtered synthesizers are your thing, this is the soundtrack for you. Just like the others, it’s all instrumental to get in the zone and work. In order to do your best work with the least effort, it helps to have your workplace arranged so it fits your personal needs and preferences. You can’t always create a perfect work environment, but adjusting as many factors as possible might make a big difference. Of course you want your papers, supplies, and such to be uncluttered and organized, but what else might help create a productive environment? If you spend any significant time on a computer, it’s essential to ensure you have an ergonomic set-up. If you’re in pain from a repetitive stress injury, you’re certainly not going to be productive. And harming your body is just generally a really bad idea. Cornell University has some good ergonomic guidelines, including a summary diagram. For those who are sitting rather than standing, note that the old “sit totally upright” advice has been modified to encourage sitting at a somewhat reclined posture, with your back at approximately 110 degrees. Getting the right set-up can be especially tricky with a laptop. You may need to use external input devices (keyboard, mouse, etc. ), a laptop stand, and/or an external monitor to create an ergonomic workstation. The University of Michigan has a document about laptop ergonomics (PDF) that summarizes the problems and solutions. While there are studies that try to define the best office temperature, an article by Rose Eveleth at Smithsonian.com concludes that there is no universally perfect working temperature. But you probably know what temperatures work well for you. If you aren’t in control of the thermostat in your workplace, you may still be able to bring in a fan or a space heater, as need be. Warm clothes, a lap blanket, and fingerless gloves are all options for keeping warm. And dressing in layers if the temperature is unknown (for example, when attending meetings outside your normal workspace) is usually wise. You may work best with music, white noise, or pure silence. Some people even work well with the background chatter of a coffee shop. But in many shared offices, noise can be a problem. TED speaker Julian Treasure says that if you work in an open plan office, your productivity is only one-third of what it would be in a quiet room. For those who work in such offices, he recommends using headphones and playing a soothing sound such as birdsong. Bose noise cancelling headphones are expensive, but get lots of raves. Less expensive choices might work fine for you, too. I’ve written before about the importance of well-lit spaces, and that certainly applies to the workspace. The Canadian Centre for Occupational Health and Safety has a number of fact sheets that explain the importance of proper lighting in the office and how to achieve it. If you have a home office, you can choose wall colors that appeal to you. Other options include incorporating artwork or plants into your space. Cut flowers might also be an option, but you’ll want to make sure you aren’t triggering someone else’s allergies. Even attractive office supplies such as staplers, mouse pads, and desk organizers can make a difference. Google Goals is quite helpful. Google Goals works simply. Tell the Calendar app about a goal you’d like to achieve, and Goals looks at your appointments and schedules time for you to work toward it, based on your availability. Right now, Goals is available on the Google Calendar app for iPhone and Android. There are five categories: exercise, build a skill, friends and family, me time, and organize my life. Tap the one that likely fits your goal. 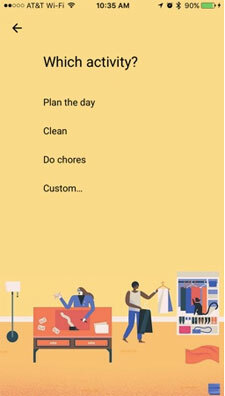 Tapping “organize my life” reveals four options: plan the day, clean, do chores, and a custom option, which can be anything you like. How often do you want to work on this goal? Weekly, twice a week, or something else? Make your selection, and then determine how much time you plan to spend on that task. Lastly, pick your preferred time of day to work on your goal. Again, Google is going to do the specific scheduling for you, so make a general selection like morning, afternoon or evening. Once you’re done, review your choices and confirm the new task. Google then looks at your calendar and all that you’ve got going on to find the best time for you to work on your goal. I’ve been using it for finding time for my daily walks with great success. Again, note that Google Goals focuses on one aspect of achieving a goal: finding the time to work on it. The rest is up to you. For help with goal setting, check out our previous posts on realizing your goals. A regular weekend or an extended one can be a great time to have a staycation — a vacation where you enjoy the sights and activities that are found in and around your hometown. If this sounds like something you’d like to try, the following post describes how to organize for a great staycation and includes several ideas to get you started. Create a list or a set of rules as to what you won’t do on your staycation to help you better define what you will be doing. Having this reminder will be exceptionally important if you will have other people participating in the staycation. Since you’ll be staying at home, you might be tempted to think you can pull off a nice staycation without planning. “We live here, I know what’s around.” But time spent planning what you’ll do, how much money you’ll need, acquiring tickets, etc. will pay off in the long run and help you to feel more like you’re on a real vacation. If you have kids and they’re old enough to have opinions, get them in on the planning discussion. If the ideas are really flowing, write them on strips of paper and stick them in a jar. Then draw one (or more) to determine what you’ll do each day. Create a staycation calendar to hang up or distribute, so everyone will know the plan. It’s a staycation after all, so make necessary reservations and go out to dinner. If going out isn’t your style, gather menus from favorite spots or places that deliver. If you’re not interested in eating out, prepare freezer meals ahead of time that can be prepared with minimum effort and mess during your staycation. In the days leading up to your staycation, make sure laundry is caught up, outstanding school projects are done, and the house is tidy, so you can enjoy your staycation without those burdens. Be sure to mark these on the calendar so you actually get these things done ahead of time. 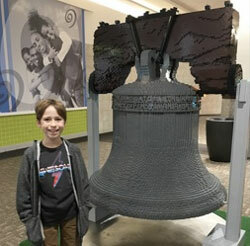 One activity my 11 year old came up with is an ice cream tour. Each day, we’ll drive to a new spot, try out what they’ve got and take photos as well as our reviews of what we try. Not the most healthful staycation idea, but definitely one everyone in our family would enjoy. What is your area known for? So often we don’t do the fun, “touristy” things in our own back yards. For example, I lived on Cape Cod, Massachusetts for 21 years before taking a seal tour. I’d wager there are fun, tourist destinations to see or do in your hometown that you’ve never tried. Visit a National Park (or two). National Parks are educational and set up to entertain all sorts of visitors. For additional fun, get a National Parks Passport that you can fill with stamps during your visit. Find a minor league sporting event to attend. These are often less expensive than their major league counterparts and in smaller venues, so you can get closer to the action. I love minor league baseball, for example, and have had a great time seeing the Pawtucket Red Sox play. Create an outdoor family film festival. Let everyone pick a favorite movie, set up a simple outdoor theatre, and settle in for fun. Lastly, I’ll suggest looking for a local festival. These are typically a short drive away, inexpensive, and a lot of fun. In my neighborhood, we look forward to the Cranberry Festival, Oyster Festival and Scallop Festival. They’re always a good time. Most importantly, just try to enjoy your time with the other people participating in your staycation. It’s a great opportunity to connect and bond. Relax, laugh, and do something a little different. I recently made an [sic] pathetic attempt to, uh, curate the drawer. I got no further than the large pile of business cards I had thrown in there over the years. A lot of them were entirely mysterious, people I had no memory of ever meeting. (I bet you have a similar stash of business cards somewhere; it might be amusing to try to cull them sometime). If you have a collection like Jon’s, what do you do with it? If you just enjoy pulling them out and looking at them — as memorabilia, a source of cool design ideas, etc. — then saving them in a drawer or a box, in no particular order, may be just fine. But if you actually want to make use of the information on the cards, you’ll want a more systematic approach to dealing with them. The first step would be uncluttering. Get rid of cards from people you don’t recognize, and vow that in the future you’ll make a note on such cards when you get them, to jog your memory. You can also discard cards from businesses that have closed or that you no longer choose to patronize, and cards from stores and restaurants in cities you’ll never visit again. If any of these qualify as memorabilia, you might want to hold onto them but keep them separate from those that have useful information. Now, what do you do with the cards you’re keeping? If you’re someone who deals best with physical cards rather than digital information, you might keep them in a business card book or file. I’m pleased with the business card file sold by The Container Store. Another tip: If you have phone numbers just jotted down on pieces of paper, you can tape those papers onto blank business cards (or rewrite the information on the blanks) and file them with the other cards. The other option is to store the information electronically, and there are many ways to do that. I don’t deal with many cards at a time, so I just enter the information manually into my computer contact list, which syncs with my smartphone. Once I’ve done that, I recycle the physical card. If you’d prefer to scan the cards, there are many ways to do that. You could use a scanner such as one in the Fujitsu ScanSnap family. Or you could use a business card scanning app on your smartphone; there are many to choose from. Evernote has its own free Scannable app, which may be ideal for Evernote fans. Currently, it’s only available for iPhones and iPads. One nice thing about digital storage is that you can search and retrieve information in many ways. For example, when I enter cards for doctors, I’ll note their specialties and the names of the people who recommended them, so it’s always easy to search and find the doctors if I forget their names. I also create groups of contacts, which is another way to make them easier to find. If you’re using a paper filing system, consider whether filing by name or by category would make it easiest to find the right card when you want it. April 15 is almost here. Are those of you in the U.S. ready to file your income taxes? If not, break out that shoebox full of receipts, because Uncle Sam is waiting. The following are suggestions for ways you can get organized for tax time, relatively painlessly. I half-jokingly mentioned the shoebox previously because having all of your documents in one place is extremely convenient. Before you sit down to work out your taxes, gather all your relevant tax documents into a folder or bin labeled for “Income taxes.” In addition to your employer-issued forms, don’t forget to print or otherwise assemble any deduction documents you’re going to need. (Go ahead and start a folder now for next year, as your future-self will thank you.) It’s so much easier than fishing around for that one piece of paper you need but just can’t find or, worse yet, having to request a duplicate copy from your employer or contract work site. They’re easy to forget, so take extra effort to find your end-of-year statements regarding contributions you made to a 401(k), Traditional IRA, Roth IRA, and/or SEP. Have these numbers quickly accessible, too. Take the time to write down answers to the questions you’ll likely be asked by an accountant or on a tax form, like did you make any charitable donations or perform energy-saving improvements to your home? Is there a home office you can take into consideration? Did you pay for any child care? Again, the 10 minutes you take to do this now will be a big time-saver later. You’ve procrastinated long enough. Give yourself two or three hours to sit down and take care of this responsibility. The IRS help lines are swarmed this time of year, but if you really get stuck give them a call or set up an appointment with a major tax preparer (if you can somehow get an appointment). Friday is the big day, so do what you need to do right away. Good luck, and don’t spend that refund all in one place. For many, password management is a bag of hurt. You’ve got yours, your spouse has others, and the kids have theirs. Managing multiple databases is a nightmare, especially when you’re standing in the hotel lobby and the password you need is on a 3×5 index card in a drawer back home. The best thing you can do is get everyone’s passwords and usernames in a centralized, secure, and accessible location. 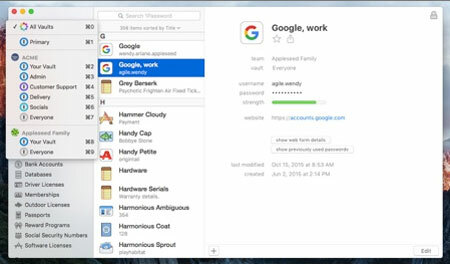 1Password Family is what I recommend. For $5 per month, a family of five gets an accessible, shared repository of passwords and other critical information. Safely store information like passwords, credit card information, secure notes, and more, including 1GB of secure document storage. Plus, the online tool is so easy to use, and there’s an app for nearly every operating system. Peter recommended a two-tiered backup approach. “Back up locally with an external hard drive and an app like Apple’s Time Machine, paired with offsite backup through a cloud service like Backblaze (starting at $5/month) or CrashPlan (free starter plan, as well as paid options). It’s twice the effort but it also eliminates any single point of failure that will keep you from accessing vital data.” Eliminating a single point of failure is something I’ve discussed on Unclutterer before. If you have lighter backup needs, consider Arq. For a one-time fee of $40, you can backup to your own cloud storage (Dropbox, Amazon web services, etc.). At the very least, use a cloud service like Dropbox or Box.net as your computer’s “Documents” folder. That way, when your hard drive on your computer dies (and it will), you need only to log into Dropbox for its replacement. Finally, you’ll need to contend with hardware and software updates. The former is pretty easy, as it becomes obvious when a computer, phone, gaming console, or TV needs to be replaced. I go for a new computer every six or seven years, and I’ll replace a TV, well…when smoke comes out of it. I tend to hang on to TVs. Likewise, your computer or mobile device will prompt you when an update is available. Designate a person to be in charge of running these updates, either the device’s owner or the family IT manager. 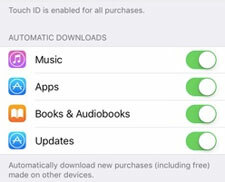 I want to make a special note about Apple’s auto-update feature for iPhones, iPads, and Macs. When enabled, a device can download and install updates on its own. It’s convenient, hands-off, but potentially problematic, as it’s possible to auto-install an update that breaks something. I recommend enabling auto-updates with caveats. I discussed this topic with Mike Rose, Solution Engineer at Salesforce and a former colleague of mine. Mike noted that if a device is more than four years old, do not enable auto update. Gadgets like iPads, iPhones, and Macs have a ceiling for operating systems. It’s possible for a piece of software to receive an update that renders it unusable. If your device is only a couple of years old, go ahead and enable auto updates. I completely agree with this advice. I hope this was helpful. Another aspect of this job could be supporting remote family members, like those in another town or state. But that’s another post entirely. Almost all of us procrastinate at times. In many cases that might result in some stress and minor inconvenience, but not any major problems. But here’s one situation where I’d suggest you try to avoid procrastinating: getting medical care when needed. This was brought home to me when a dear friend (who tends to put off seeing her doctors) had some problems that put her in the hospital. If she had waited one more day to seek care, she might well have died. Fortunately, she’s fine now. And I made my own mistake in this regard, too. When I had some leg pain last year, my doctor said it might be tight muscles (treated with physical therapy) or it might be a hip problem (diagnosed with an X-ray). But I delayed getting the X-ray — and sure enough, it was a hip problem. I’m now scheduled for hip replacement surgery, but I could have avoided months of pain by getting the X-ray sooner, especially when physical therapy didn’t seem to help. Well, it turned out that the prep wasn’t all that bad. Not fun, but not tortuous. And the procedure itself was nothing, because I slept through the whole thing. When it was over the news was good — and immediate. Everything normal. Come back in ten years. I can’t tell you how good it feels to have that behind me. I didn’t realize the psychic energy I was expending avoiding it. I’ve known people who procrastinate about going to the dentist, too. That might be because they aren’t aware of any problem, but gum disease can be pretty symptom-free until it’s progressed enough to be serious. People might also fear the pain, but my own experience tells me if I have regular cleanings it’s much less of an issue than if I wait too long. Even procedures like root canals sound worse than they feel, at least for me, since they are done with anesthesia. And I’m a wimp about pain. I know that sometimes there are financial concerns regarding medical care, and I certainly respect any choices you need to make in such a situation. But if there are no financial constraints (and you can find care providers with evening or weekend hours, if need be), please don’t procrastinate on getting the care you need. Besides the obvious unitaskery nature of specialized koozies for ice pops, these sleeves also ruin the joy that IS an ice pop. Which, and I’m hoping you agree with me on this, the best part of the ice pop is when it melts and you get to drink the melted liquid at the end of the treat. 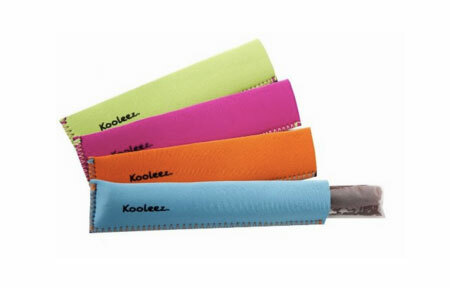 An insulated sleeve would prevent the ice pop from melting and deny you that liquid goodness. Awful. Maybe it’s a multi-tasker after all — it wastes your money AND your fun!